Bolivian History. History of Cochabamba, Bolivia's Valley Cultures. ESPAÑOL This is a detailed summary of the history of Cochabamba. 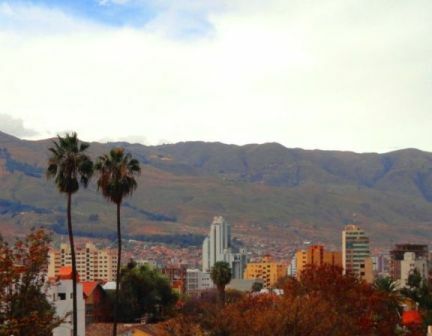 You can learn more about Cochabamba, Bolivia by posting your questions in our Cochabamba Forum. The central valleys of Bolivia that are part of the Department of Cochabamba have been inhabited by numerous tribes over thousands of years due to the fertility of their soil and their pleasant climate half way between the cold of the Andean highlands (known as the Altiplano, and by the Incas as the Collasuyo), and the hot jungles of the Amazon. There is evidence prehistoric man hunted and collected fruit in the area near Carayani, but recently traces were found of a more advanced culture, dating back to about 2000 B.C. that left an uncountable number of pottery pieces. Apparently almost all of the peoples that inhabited this area of Bolivia were experts in ceramics and they can be classified into different groups by design and use of colors. The cultures that inhabited this region have left evidence of what they used to call themselves: the Canas, Karis, Urus, Cotas, Mojocoyas, Chanés, Chuwis or Chues, Guaraní, and Mitimaes. That these were not a single uniform group is clear from the differences in their pottery ware. Pottery made in Aiquile, for example, is monochrome and wavy; pottery by the Tupuraya in Cercado, Arani and Mizque is bi-colored and decorated with geometric designs; and the Mojocoya to the southeast made pinkish pottery with spiral and terraced designs. Likewise, there is archeological evidence that these peoples traded with the Tiwanakotas who had established themselves in Omereque and were more culturally advanced, judged by their pottery and construction. The Chané and Chues, on the other hand, left no type of ceramic evidence. All of these were conquered by the Quechuas who advanced beyond Qochapampa and into the valleys of Northern Santa Cruz where the Chiriguanos forced them to turn back. This is why the natives who still live in these areas speak the Incan language. The colonizing Incas probably gave their valley its name. “Qocha” means lagoon and “Pampa” means plains, in allusion to the abundance of water and soft rolling hills. This area has a temperate climate. The Spanish, so accustomed to adapting all other dialects to their own, pronounced it “Cochabamba”. The first Spaniard to venture into this area was Garci Ruiz de Orellana (who was either from the Gonzalo Pizarro or Hernando Pizarro group, as Francisco Pizarro didn’t enter this region) who arrived in 1540 according to some, and in 1542 according to others. He loved the area and saw that it was apt for planting orchards so he made arrangements to return in the future to meet with the chieftains of Sipe Sipe and eventually acquired, for one hundred and thirty silver pesos, the land where the city is now located, which the natives called Canata (after the original inhabitants of the area, the Cana), according to documents issued in Potosí. There he built a farm which he called Chacra del Algarrobal (currently the Plazuela Osorio). Another Spaniard, Pedro de Estrada, arrived after him and acquired the land neighboring his, and then Gerónimo de Osorio, a third Spaniard, did the same in 1565. In 1571 the Viceroy of Peru, Francisco de Toledo, gave Gerónimo de Osorio the green light to carry out a project to establish a village at this site. He purchased Ruiz de Orellana’s land and that of other landowners, and also gave other pieces of land to landowners who refused to leave their farms. On this site he founded Villa de Oropesa on the 15th of August, 1571 at the foot of Mount San Sebastián, now known as Las Cuadras, because he divided land into square plots and gave it to the first inhabitants. He named it Villa de Oropesa in honor of his sponsor, the Viceroy of Peru, who also held the title “Count of Oropesa” and had a village in Spain with the same name. De Osorio lived in the village and was its mayor until his death just two years later in 1573. For reasons that historians have not been able to satisfactorily explain even today, the year after the founder died, another person appeared to re-found the village. Sebastián Barba de Padilla, who had apparently been an employ while Osorio governed, asked the Viceroy to allow him to re-found the Villa de Oropesa. The arguments he used to convince Toledo are unknown, but the latter gave him permission to do so and on 1 January 1574 the town was founded for a second time at the site that is now the central plaza, Plaza 14 de Septiembre. The Colonial system under which the region was governed over the next few centuries was very tortuous for those who were part of the lower social strata: the natives were obligated to register for a census which the Corregidors used to impose absurd taxes on their goods, in many cases unnecessarily. And the mestizos (mixed indigenous and Spanish race) who wee artisans, were forced to pay an annual tax over their production in addition to royalties. This obviously caused continuous disputes which resulted finally in a revolt in 1730, when then Vicerooy Armendáriz named a new “juez revistador” (a type of supervising official) whose mission it was to investigate what the corregidors in the province of Cochabamba were doing with the money they collected, as there had been complaints of fraudulent charges. This official, Manuel Venero y Valverde, arrived at a time when the current Corregidor had caused a tumult because he had arbitrarily registered mestizos and creoles on tax lists on which only natives were to have been recorded, in violation of their rights. The mestizo, creole and indigenous population took up arms under the command of Alejo Calatayud, a mestizo and silver artisan by trade, and ran Venero y Valverde off. He headed to Oruro where he complained to at the “Audiencia de la Plata”, the governing body of the region, which sent troops to repress the population. In November 1730 the group, headed by Calatayud, faced Spanish troops with slingshots, rocks, knives and sticks. The Catholic Church had to intervene to calm down the two conflicting sides, and convinced them to sign an agreement by which Cochabamba would be governed by creoles, not Spaniards, who would be responsible for their own needs, as long as they did not work beyond the authority of the King, the Viceroy and the Audiencia. Creoles José Mariscal and Francisco Rodríguez were named as the new authorities and given the positions of Mayor and Registrador, respectively, and they lost no time betraying the former leader of their revolt, Calatayud. In January 1731 a group of creoles that had, until that moment, supported him, ambushed him while he was at the home of his friend Rodriguez and secretly took him to a prison where they strangled him. His body was horrendously abused. First they hanged him, already dead, in the Plaza de Armas. Then they took him to Mount San Sebastián where they dismembered him and sent his head to the capital, La Plata, where it was exhibited at the top of a spiked post in the plaza. At some point someone sympathized, stole the head, and buried somewhere unknown. In 1776, when the Audiencia was withdrawn from under the tutelage of the Viceroyalty of Alto Peru and placed under the Viceroyalty of Rio de la Plata, the new administrators included Cochabamba within the immense province of Santa Cruz. But in 1782 King Carlos III of Spain order a new land administration model known as “intendencias”. The following year, on the 5th of August he ordered the government of Santa Cruz to be moved to the valleys, creating the Intendencia de Cochabamba, one of four that were created under what came to be known as the Audiencia de Charcas. This new Intendencia governed Cliza, Mizque, Sacaba, Tapacari, Arque, Ayopaya, Vallegrande, Santa Cruz, and Moxos. This vast territory was known as the breadbasket of the Colonies, due to the abundant grain harvests. Several decades later when the colonies began to revolt against Spain in La Plata and La Paz, the Cochabambinos organized themselves to fight as well, and on the 14th of September, 1810 Francisco del Ribero gathered the inhabitants together and proclaimed independence, which was greatly cheered. The previous year, he and other local landowners had responded to a request by the Chairman of the Audiencia, Vicente Nieto, to squelch an indigenous rebellion against the Spaniards in Oruro, which they did very triumphantly. Now, as revolutionary rebels, they decided to form a war junta, recruit all the men they could, and lead a charge against the Spanish. They did this by joining the cause of the Argentines whose First Auxiliary Army was already entering the area of Potosí. They organized militias commanded by Ribero and Esteban Arze, who immediately stirred up revolts in the rural areas between Cochabamba and Oruro. The Spanish armies couldn’t travel around fast enough to squelch the dozens of groups of guerrillas that sprang up all around them and surrounded them. Arze headed to Oruro to support local patriots and faced off against Spaniards headed by Piérola, one of Goyeneche’s men, whom he defeated in the Battle of Aroma. After defeating the First Auxiliary Army of Argentina in Guaqui in 1811, where the Cochabambinos fought alongside, Goyeneche was forced to head to Cochabamba where he was able to squelch the rebellion in two separate battles, after which he imposed a governor upon them. He then concentrated on facing the Second Auxiliary Army of Argentina which again was nearing Potosí and part of Chuquisaca. He sent another of his men, Picoaga, who defeated them in Cotagaita, after which Goyeneche made plans to advance toward Rio de la Plata but was forced to change his plans when he found out that Cochabamba was planning a second rebellion. In coordination with guerrilla fighters in Chayanta, Sica Sica, and Tapacari, Arze and his men were once again moving in on the Spanish troops he had left behind. So he turned back to the valley region and battled against Arze’s band of Cochabambinos in Pocona, on 12 May 1812, defeating them. 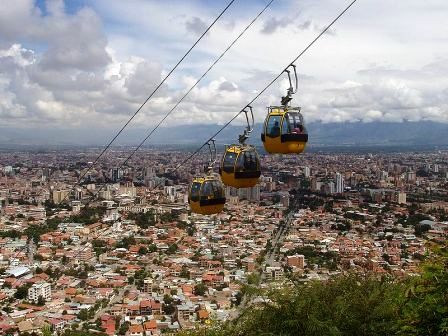 He then demanded the city deliver up its republican leaders and Cochabamba refused to do so. Therefore Goyeneche advanced upon the city intending to teach its inhabitants a lesson. All of the men who could take up arms had accompanied Arze and only women, children, the elderly and some authorities had remained behind in the city. It seemed the city was defenseless; however, a very brave woman named Manuela Gandarillas, who in addition to being old was also blind, made a heartening speech to the demoralized inhabitants and convinced them to arm themselves with clubs, sticks and kitchen knives to fight against the Spanish. In addition, Arze’s wife and the wives of other patriot men, stole the keys to a weapons storage shed and stole all the ammunition. A hundred women, led by an old blind woman, rose up against the Royalist army on a hill called La Coronilla (now called Mount San Sebastián). Despite the fact that they were women and scarcely armed, Goyenehe, tired of all the unending revolts, gave the order to finish them off completely. The result was pure carnage. In memory of these women, Bolivia celebates Mother’s Day on the 27th of May each year. After having slaughtered the women, Goyeneche entered the city, which was mildly attempting to celebrate Corpus Christi Day. He sacked the city, and ordered all patriots to be executed. Then, apparently tired or warring, he decided to resign from his position in the Army and retired to enjoy his winnings and the title of “Count” with which he was awarded for his ruthless campaign against the revolts. He was replaced by Joaquín de la Pezuela who faced off against a pro-patriot Spaniard, Antonio Álvarez de Arenales, who had previously commanded the revolutionary militias of Chuquisaca in 1809. Arenales was able to take over in Cochabamba after about two years, after which he headed to Chuquisaca where he also took over at the plaza while Pezuela was busy fighting the Third Auxiliary Army of Argentina, which one of his officers defeated. As a reward, Pezuela was made the Viceroy of Peru. The Argentines made one last attempt to help the rebels of Rio de la Plata by sending in a Fourth Auxiliary Army from Argentina. It, like the former armies, was soundly defeated and was forced to withdraw in 1817. The guerrillas were now completely alone against the Spaniards. Arenales coordinated with rebels from other areas such as Chayanta, which made life difficult for the Spanish along routes between Potosí, Charcas and the valleys; in Larecaja under the command of a priest called Ildefonso de las Muñecas who entered Sorata; and in La Laguna and Vallegrande. After suffering various defeats, the survivors of these guerrilla groups dispersed to form new groups in key rural areas and in between 1816 and 1825 battled incessantly until they finally gained control over the provinces of Santa Cruz, Cochabamba, Chuiquisaca, Tarija, La Paz and Oruro. Some of the leaders, such as Juana Azurduy de Padilla, moved on to continue fighting in Northern Argentina, along with Arenales, who also traveled with a group of Cochabamba guerillas to fight in Jujuy. By 1825, the last year of the Wars for Independence, the entire region under the jurisdiction of the Audiencia was controlled by the republicans. Only in Potosí did the royalist army continue to resist, in unison with other troops from Lima, but they were continually tormented by the Argentines, under the command of San Martin to the south, and the multinational army under Mariscal Sucre to the North. When Viceroy La Serna was defeated by the guerrillas in Sucre during the battle of Ayacucho, he was forced to acknowledge that the Viceroyalty had finally gained its independence. One of his generals, however (Pedro Antonio de Olañeta) took it upon himself to continue resisting at Villa Imperial, in flagrant disregard for the agreement signed by the Viceroy. However, his regiments rebelled against him one after the other. This internal discord among Spanish troops ended in Olañeta’s death during the battle of Tumusla, after which the last Spanish battalion surrendered in April 1825. Mariscal Sucre arrived to take over the former Audiencia which was renamed “Republic of Bolivar”. For the next three years he organized the country. The Department of Cochabamba was officially created under his government on 23 January 1826. Cochabamba thus lost its jurisdiction over the Moxos peoples and the valleys of Santa Cruz, which were returned to the Department of Santa Cruz, to which they had originally belonged. Over the next one hundred and fifty years or so, known as the “republican years”, despite other disastrous wars such as the War of the Pacific (against Chile), the War of Acre (against Brazil) the Federal War (a war between the departments of La Paz and Sucre to see which would be Bolivia’s capital) and the Chaco War (against Paraguay), Cochabamba maintained its status as the breadbasket of Bolivia, and after the mining towns of Oruro and Potosí began to decline, it became the second largest city in the country. During the Federal War Cochabamba didn’t intervene much, preferring to let the neighboring departments mutually destroy each other; however, this was of little geographic benefit to Cochabamba as ultimately two branches of Bolivia’s government were transferred to La Paz, which was much farther away than Sucre and this made it necessary to open a network of roads and a railroad. The peak of silver mining near the end of the 19th century and through the 1920’s, also benefited Cochabamba. Evidence of this can still be seen in the splendid mansions built by the mining magnates, as well as the installation of related industries and the streetcars that transported city dwellers as of 1908. After World War I a North American oil company began exploring for petroleum and after this, others arrived which, after the end of the Chaco War against Paraguay in the 1930’s, discovered that the southern region of the country was rich in oil, known as black gold. The largest oil refinery of its time, called the Gualberto Villarroel refinery, was installed in Cochabamba due to its advantageous location for export. Curiously, the first nationalization of oil in South America took place here in 1936, carried out by a military government. Just prior to the Chaco War there had been significant political reforms. A man from Cochabamba, Blanco Galindo, and de facto president, called for the country’s first referendum to modify the national constitution in 1930. After this there were two decades of conflict marked by military coups and abuses due to North American politics which, during the war against Germany, obligated Bolivia to provide tin practically for free, as Bolivia was the greatest producer of tin in the world at the time, along with Malasia, which was under Japanese rule. This was economically disastrous for the young republic. Worth mentioning is that during the first few years after the World Wars the first paved highway in the country was built between Cochabamba and Santa Cruz. Today there is a new paved highway between these two cities, but the old one, known as the Antigua Carretera, is still in use today. In 1949 the government attempted to stifle differences in ideologies and bombed the city of Cochabamba in an attempt to suffocate supporters of the MNR (Movimiento Nacionalista Revolucionario). The “movimientistas” were able to gain power after house to house combats against the national army and are responsible for the 1952 Revolution which carried out the great Agrarian Reform of ’52 during which land was taken from the wealthy and distributed among the poor. After the reform the government became unstable again and there was as series of coups in the country. One of the de facto presidents to come to power shortly was General René Barrientos, from Cochabamba. He was a very colorful character and used to show off his skills as a soldier, commando style. During his government Cochabamba the Corani hydroelectric facility was built in Cochabamba and two paved highways were built through the tropical Chapare region (to which the paved highway between Cochabamba and Santa Cruz was connected). After him the country underwent its worst period of military dictatorship between 1971 and 1982 between General Banzer and General Vildoso. The most notable thing about the Department of Cochabamba during this time was is creation and modernization of the state-controlled airline, Lloyd Aéreo Boliviano, which is now defunct. With the construction of the new highway from the Chapare to the eastern plains of Santa Cruz, the department of Cochabamba gradually lost is status as the second most populated city and largest agricultural region in the country to Santa Cruz, which once connected to the remainder of the country, began to grow and develop swiftly. When the silver mines of Potosí ran dry in the 1980’s and there were mass lay-offs of miners, thousands of them migrated to the Chapare region of Cochabamba where they became coca farmers, popularly called “cocaleros”. Encouraged by the cocaine trade which was at its peak during the “narco-government” of García Meza, they increased their production to extraordinary proportions, which attracted pressure from the United States and a long series of ineffective narcotics fighting efforts. The most outstanding events of the past decade, from 2000 to the present in Cochabamba are: the 2001 Water War which was a conflict between the government and the citizens of Cochabamba for control over the supply of drinking water, with injured and dead on both sides; the struggle between Manfred Reyes Villa (the mayor and later prefect of Cochabamba) and Evo Morales (congressional representative and now President of Bolivia) over political differences; Cochabamba’s support of the Media Luna in 2005 (when the 4 eastern states of Bolivia, called the “Half Moon” began their struggle for regional autonomy); Black January in 2006 (street fighting between government followers and opposition that resulted in the burning of the prefectures offices and several dead); the election of the first prefect by vote (prefects were previously assigned – the winner was Manfred Reyes Villa who is in exile today); and the three referendums that took place in 2008 and 2009 regarding the prefects, the new Bolivian Constitution, and the ongoing struggle for autonomy.